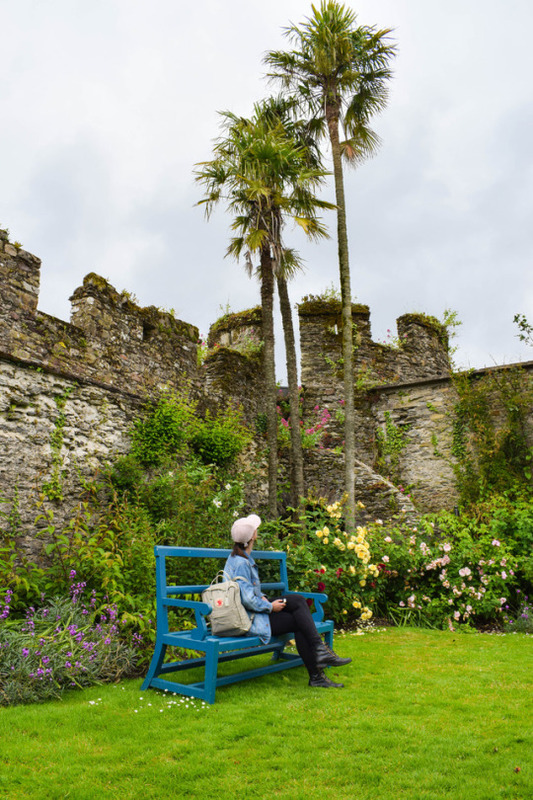 Above all; Ireland’s Castles will make you believe in fairytales once again and offer you a chance to relive your dreams of being a princess (or knight). 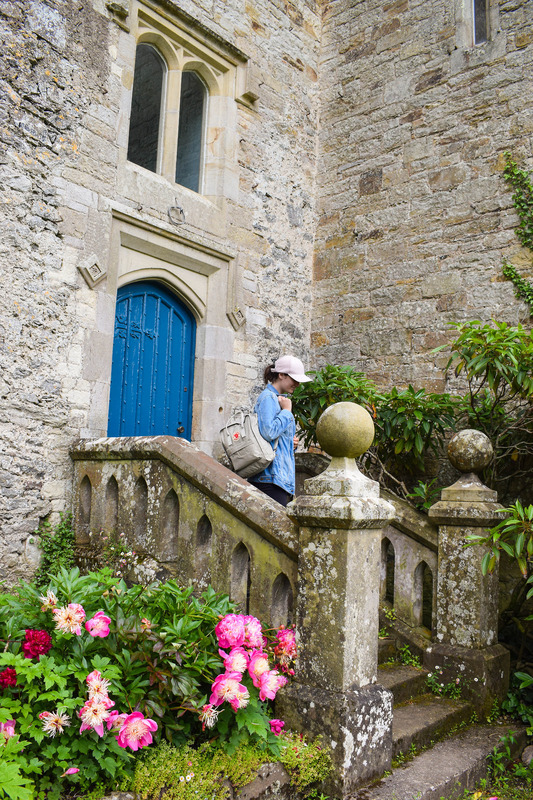 We travelled the little country roads from one pretty castle to another. 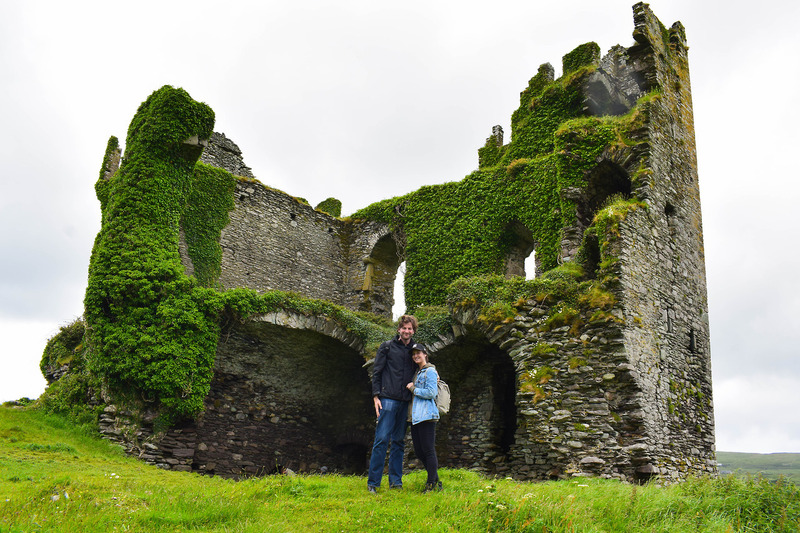 On this beautiful road trip I saw more castles in a few days than I had seen my entire life, that is why I figured I’d share my personal top 5 with you. Please check the upcoming post for a detailed road trip guide through Ireland. 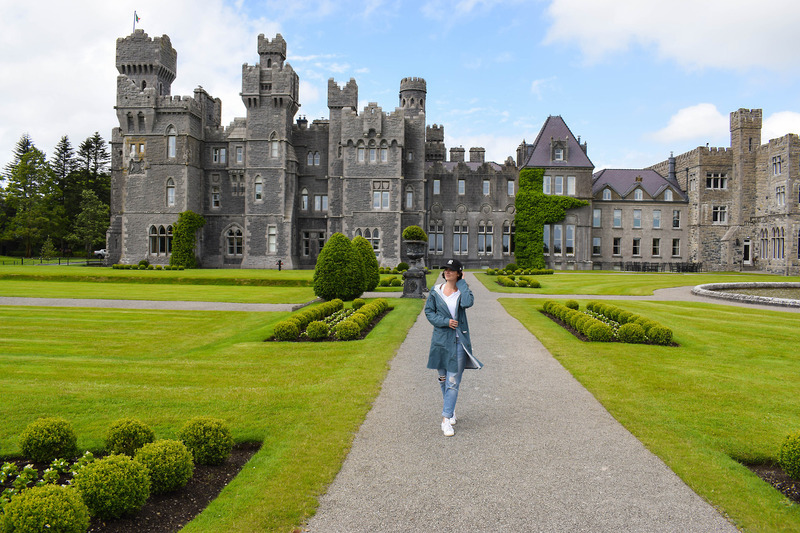 I must say that I had very high expectations of the famous Ashford Castle. I had seen so many pictures on Instagram already and couldn’t believe that I was finally going to be able to see it in real life. 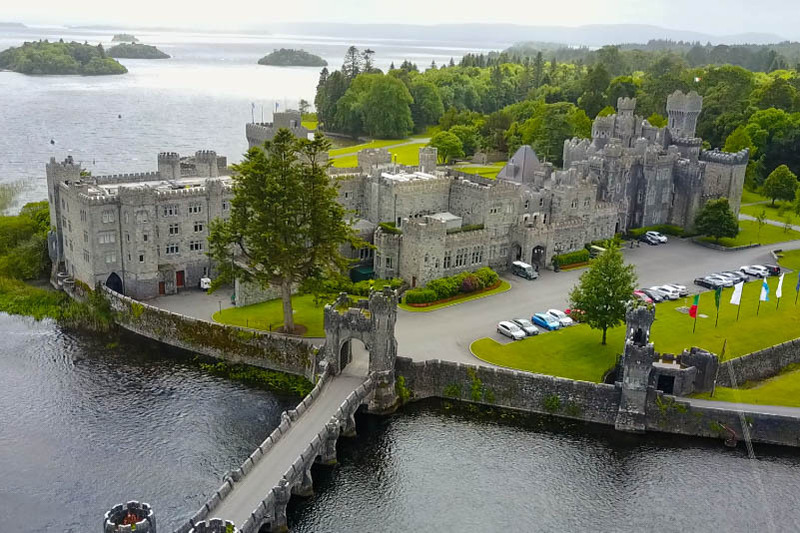 Living in a beautiful castle like this with a stunning view of a huge lake (I didn’t even know it was located next to the water) must be incredible. 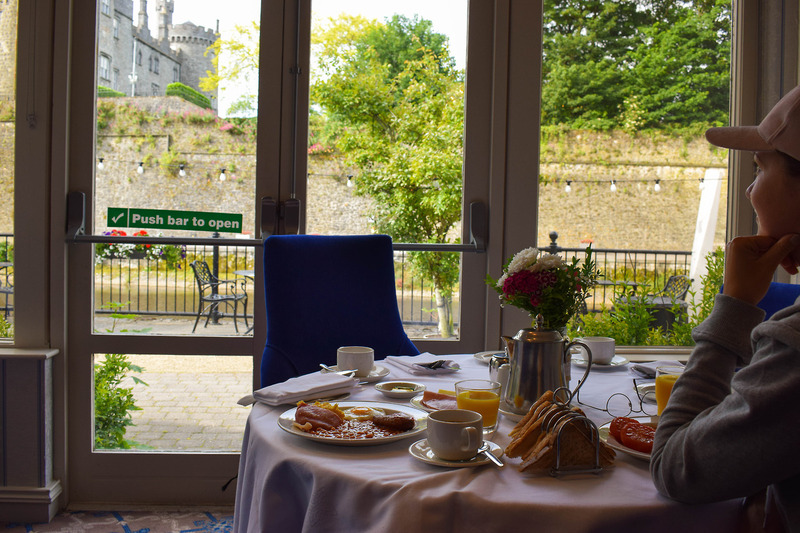 Unfortunately, you can only visit the interiors of the castle if you stay there overnight or if you have a reservation for high tea/afternoon tea. 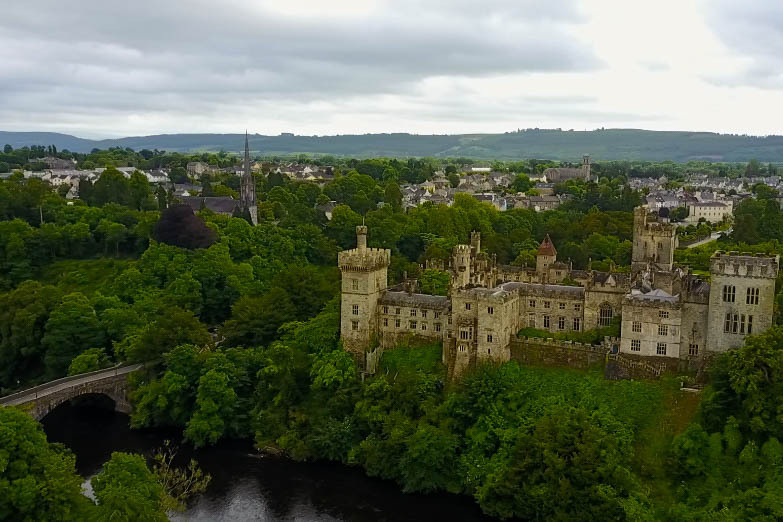 The rooms here are obviously crazy expensive, but if you really want to live the castle life, this once in a lifetime experience might be worth it. (I would suggest booking a room with a view of the lake). But of course most castles are just as spectacular, if not even more so, to see from the outside. Luckily, the gardens are open for visitors and you can stroll through them for 10€. 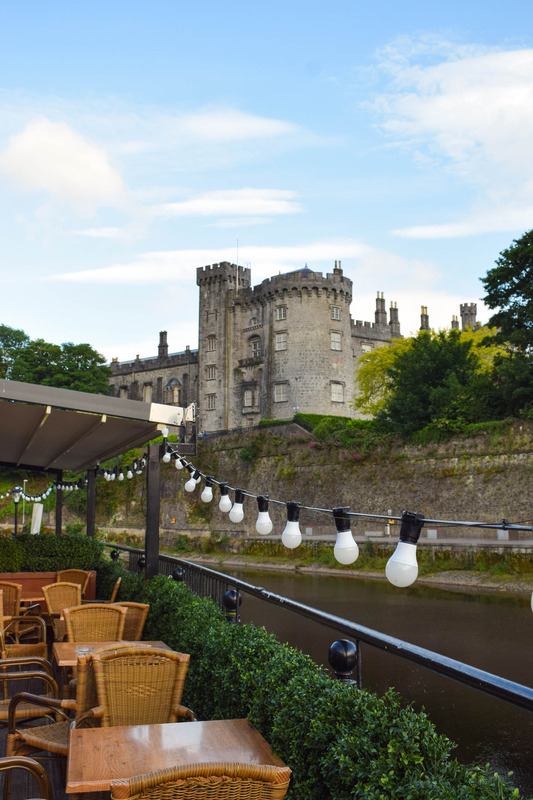 Kilkenny Castle is best known for being the most beautiful one of them all. 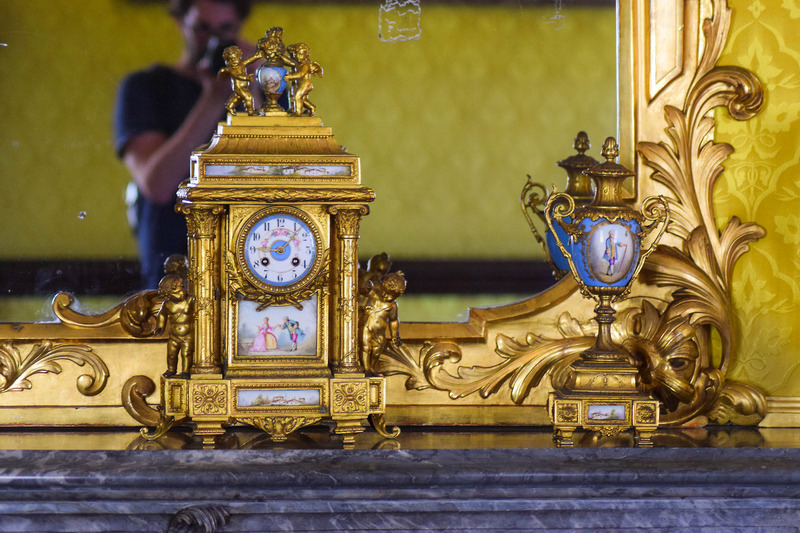 It is worth taking a walk through the magnificent rooms and marvel at the ornaments and luxurious furniture. It is open from 9:30 to 17:30 and for a mere 8€ (4€ for students) you can wonder around the castle, and its grounds, as long as you want. 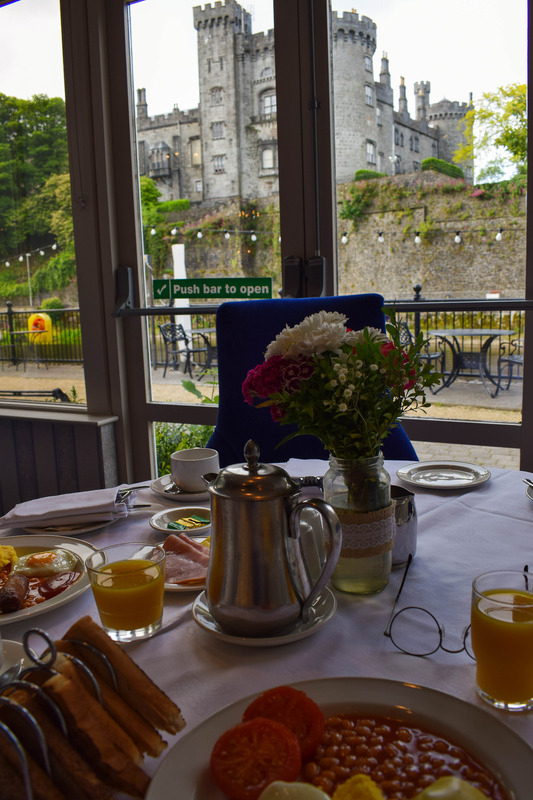 For a special view of the castle make sure to stay in the Kilkenny River Court Hotel, where you can gaze at the castle while you are enjoying your breakfast. 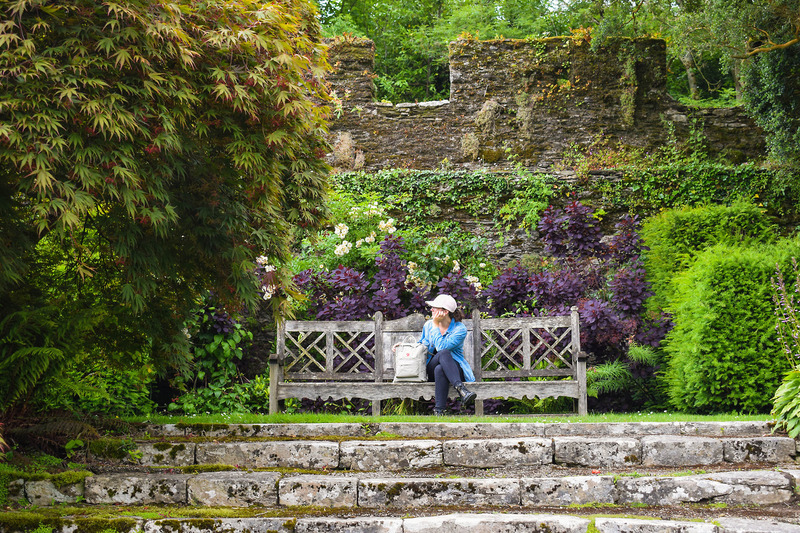 Lismore Castle has by far the most beautiful gardens. A tour of the castle is not possible, since most of it is private, but the gardens and the west wing art gallery are open to visitors (8€ entry fee). The enclosure is rather big and tastefully furnished with wonderful greenery. There is free parking in the driveway and it is open everyday from 10:30 to 17:30. 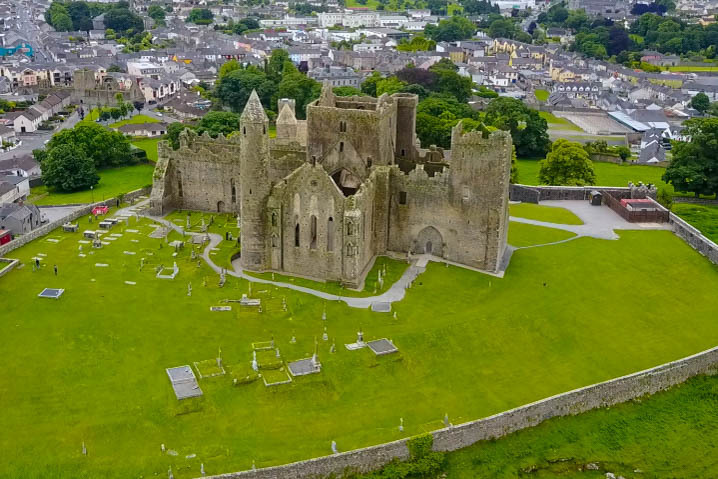 Rock of Cashel, also known as St. Patricks Rock, is a picturesque stronghold that is unique on its own. 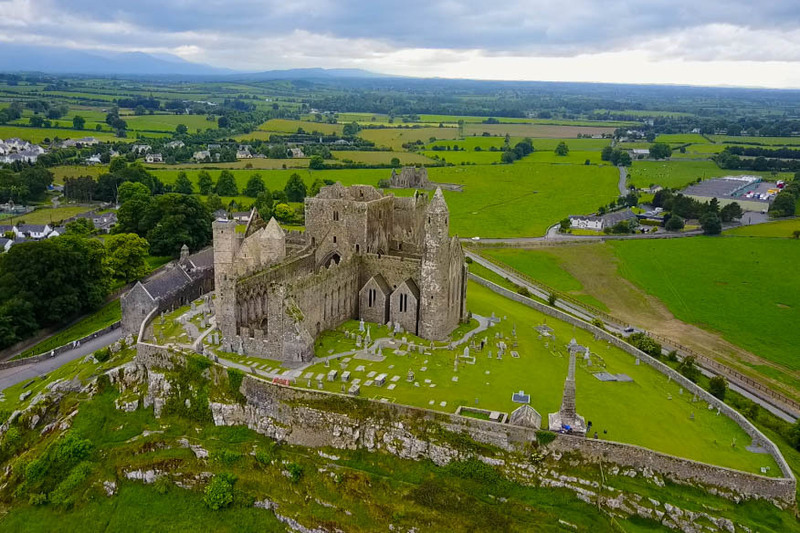 Legend has it that after St. Patrick banished Satan from a cave those very rocks landed 30km south at Cashel. You can walk through the ruins and visit the graveyard everyday of the week from 9:00 to 19:00, for only 8€ (4€ if you are a student). 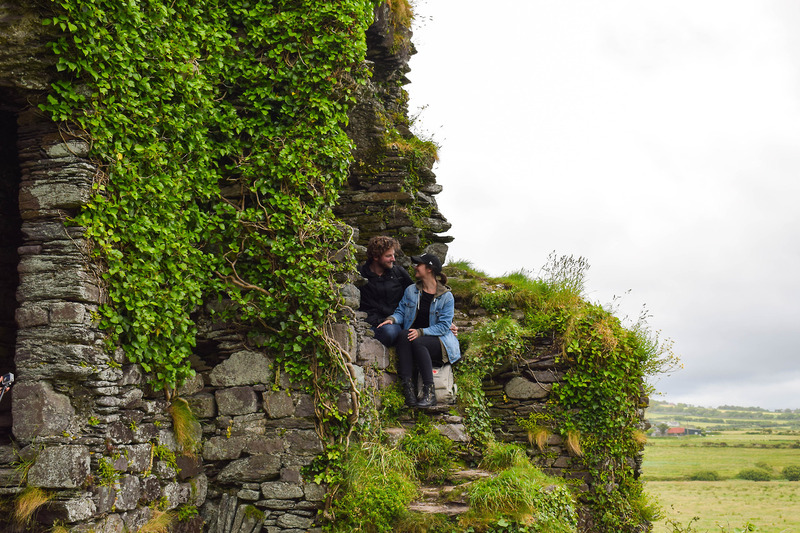 Ballycarbery is a stunning castle ruin in Kerry, located in huge green grassy fields. You can easily park in front of the ruins and take a walk through or, better even, climb up to the top for some great pictures. There is no admission and there are also no opening hours. 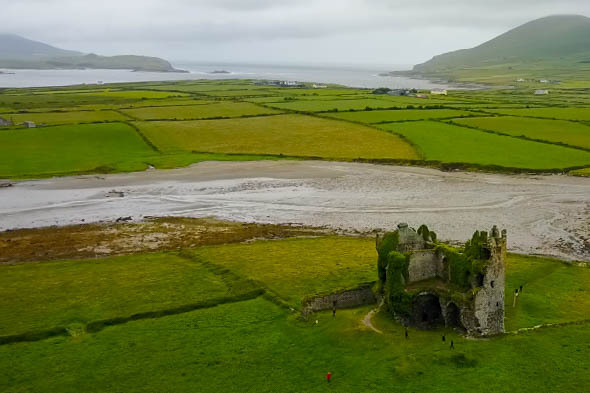 Ballycarbery is part of the Ring of Kerry; a famous tourist trail that takes you through many great spots in Ireland and is known to offer its travellers a million shades of green. 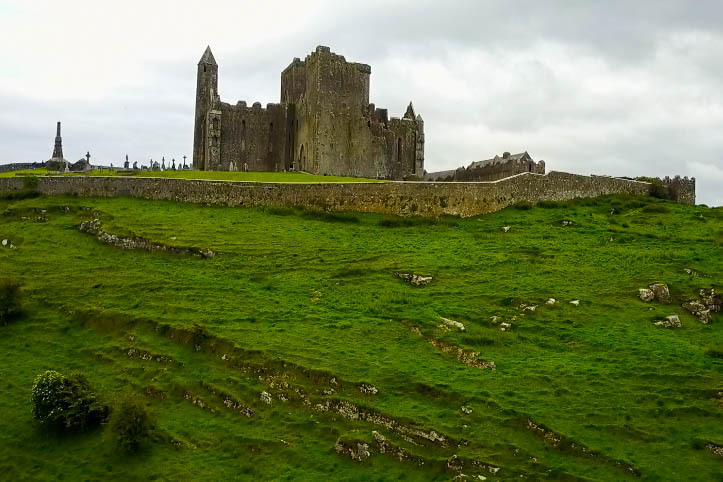 Those are my favourite Castles in Ireland, what is/are yours?